Sure, Queenstown Backyard Runners Run Together. But That's Just the Beginning of Their Story! Running clubs develop unique personalities but we’ve never encountered anything like the Queenstown Backyard Runners where competition is discouraged and friendship is the biggest priority of all! Some running groups are all about competition. Others are so focused on group exercises, members barely know each other. But as good fortune would have it, the Queenstown Backyard Running Group happened to come to our attention and it’s quite an exceptional organisation for too many ways to count. This 4-year-old group isn’t as much a club as it is a solid community shepherded by co-founder Chloe Loh. Talk about successful. Queenstown membership is around 300 — and yes, despite its size, runners do know each other's names! RS: Chloe, what makes the Queensland Backyard Running Group unique? Chloe: Where shall I start? We’re probably the most laid-back, casual group of runners ever to come together because we prioritise fellowship as much as sport. We’re known for having a “kampong” style vibe because we are neighbours and friends first and runners second. 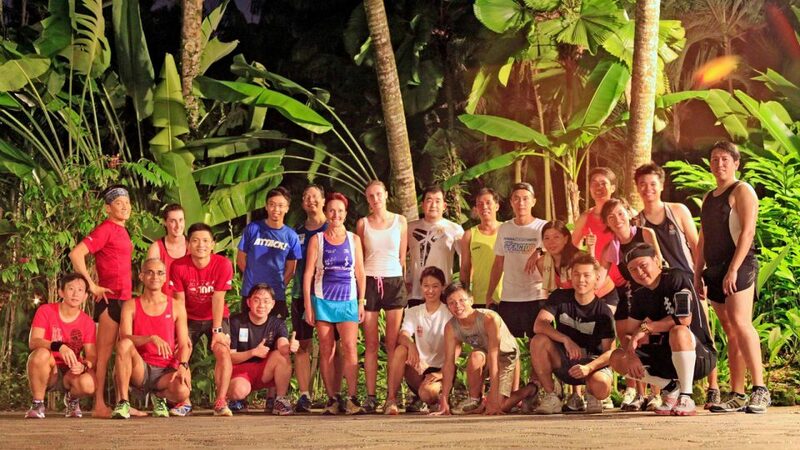 (From the left, 3rd at the front row): Chloe in the Running Groupie at Clarke Quay. RS: So there’s no competition afoot? Chloe: Not at all. We are driven by small gestures toward one another rather than whose timing is best. How many running groups do you know who train together and then get together when a runner brings her juicer down to make smoothies or another totes a camera so every group memory is captured for posterity? RS: Does that mean that your weekly runs are loose and disorganised? Chloe: We’re uniform enough! We meet up on Mondays to run and I make sure our goals are always met. 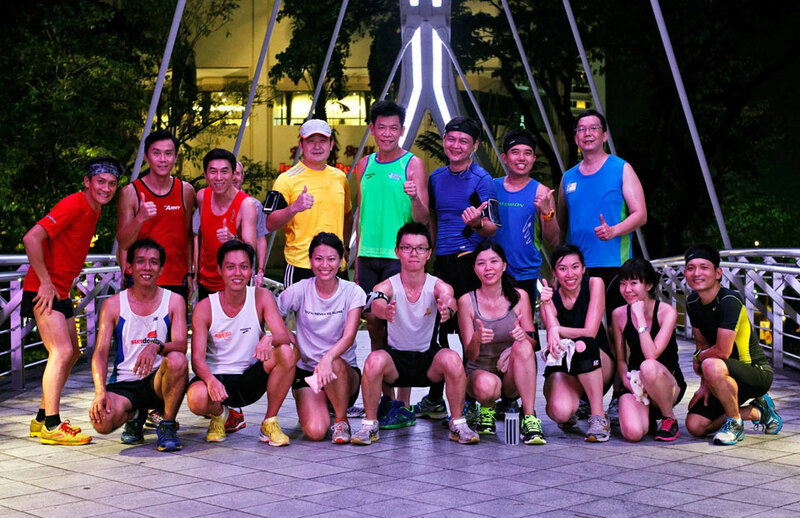 You might say that we’re not so much a running group as a running movement; our goal is to stay healthy while convincing Singaporeans to form Backyard groups in neighbourhoods. We don’t have sponsors, either. RS: How did your movement get started and why? Chloe: Queenstown Backyard got its start on National Day, 9th August 2012. Neighbours got together and a few of us began to discuss forming a running group that was based in the Queenstown neighbourhood, but rather than focus on running goals, we wanted to come together with community goals. My co-founder Victoria and I took the lead and put our ideas down on paper, using social media to generate interest. Who knew so many people were eager to be a part of this unique community? RS: So the Queenstown Backyarders are as focused on fitness as on friendship? Chloe: Exactly. We believe that the place to start making a difference is where we live, among the people in our community. We like to use the words “salt and light” to describe our mission: We aim to be the flavour enhancer and spotlight when backyard social occasions bring people and food together. Without the salt and light, nothing would taste as flavourful and there would be much less warmth, joy and laughter. RS: It’s unusual for a running club to minimise the competitive factor. Chloe: We’re not the usual running club — we’re more about creating an inclusive, vibrant organisation where people feel a sense of belonging rather than focusing, like other groups, on personal bests and beating out the competition. We run. We talk. We chill and get to know each other while getting a healthy workout. RS: Does living in Singapore promote this movement? Chloe: In many ways, it does. We live in compact, modern high-rise apartments where people are more detached from each other than ever before. Our intent is to bring back a feeling of community where neighbours rely upon each other. Queenstown Backyard re-ignites a sense of community that seems to have been lost over time. RS: In addition to running, what else does the group do? Chloe: We celebrate occasions together in the same way any group of close friends does: we gather for holidays like Christmas, Easter, Mid-Autumn Festival and National Day. We hold game nights and picnics — anything friends normally do when hanging out in a typical backyard. RS: Where and when do members run together? 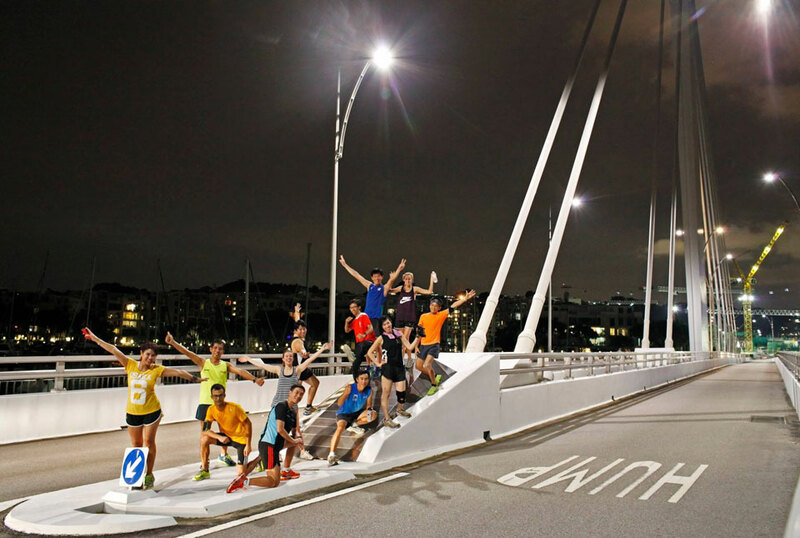 Chloe: We meet weekly on Monday evenings at the back gate of Queens condominium at 7:30 p.m. You can’t miss us: we’re an energetic bunch dressed in exercise attire. Each week, we follow a different route to know our neighbourhood better during these 5km to 10km outings. For example, we may choose Clarke Quay, Labrador Park, Keppel Bay, Tiong Bahru Park, Kent Ridge, Biopolis, Dempsey, Orchard, Botanical Gardens or Gillman Barracks. 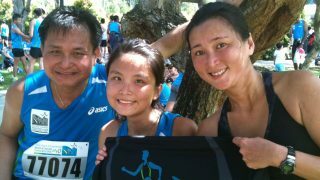 Running Groupie at Keppel Bay. RS: We understand that running and socialising isn’t all that members do! Chloe: That’s true. For example, member Kelvin Ng, who is passionate about astronomy and collects telescopes, volunteered to introduce Queenstowners interested in star gazing by organising activities during the Mid-autumn festival. He let us peer into his ginormous telescope to get a good look at the full moon. Kids in the neighbourhood were especially excited and curious. RS: How many Backyard groups are there currently in Singapore? 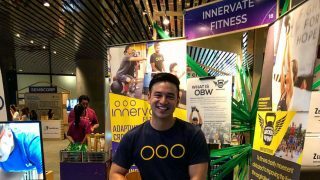 Chloe: At the moment, only Queenstown Backyard Runners exists, but we are working very hard to encourage other communities to form groups based on our model of community connections in conjunction with fitness. RS: If someone loves the idea of a Backyard running club but has no clue how to get started, can you be of assistance? Chloe: We are more than happy to share our model with others so they can increase the number of Backyard groups here in Singapore. We’re eager to help spread the word. 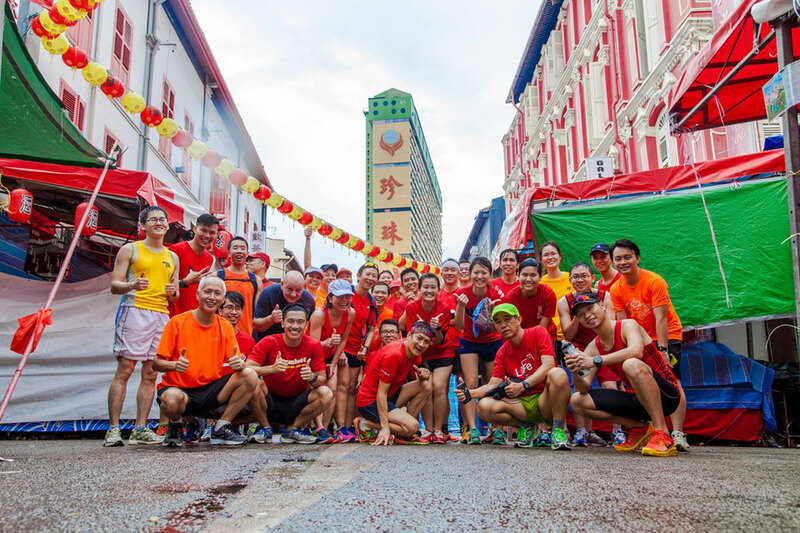 RS: How does your Backyard movement contribute to the overall Singapore running scene? Chloe: To quote Helen Keller, “Alone we can do so little, together we can do so much.” That’s the essence of the Queenstown Backyard runner philosophy. CNY2016 with The Morning Greeters. RS: Our readers are likely impressed by your 300-member roster! How do you keep track of them all? Chloe: Our members are really dedicated, so we see each other often, which is why we are able to remember so many runner’s names! 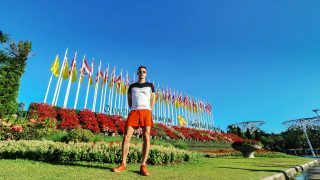 RS: Does a runner have to live in Queenstown to join the fun? Chloe: Not at all. We have members who are young and old; who live in Pasir Panjang, Jurong West and even Sembawang. The more the merrier. RS: Can you think of one moment that stands out since you and Victoria organised the group in 2012? Chloe: There’s no way I could pick just one memorable moment because they occur with such frequency! 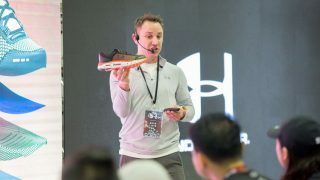 I mentioned our neighbourhood smoothie maker earlier in this interview and we have countless numbers of Queenstown runners eager to bring a birthday cake or throw a farewell party. We all inspire each other. RS: Having grown your running group and stayed together so long, what’s the secret of your success? Chloe: Respect. We believe in “Others before self” and we encourage everyone to be intentional and interested in each other. 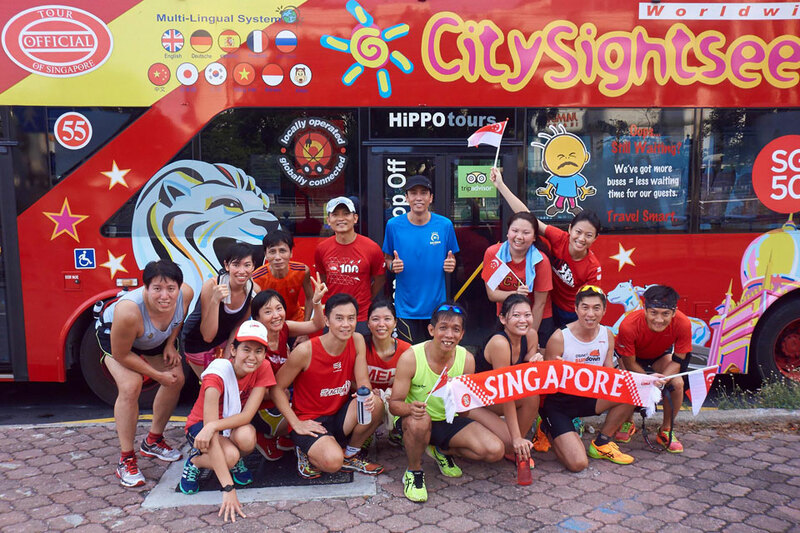 We encourage runners to share their own personal stories - just as neighbours do. We are all about relationship building, so even newcomers feel connected and welcomed into our warm, positive community. After reading about the positive impact the Queenstown Backyard Running Group has on its neighbourhood, would you consider forming your own community-based effort based on this model?